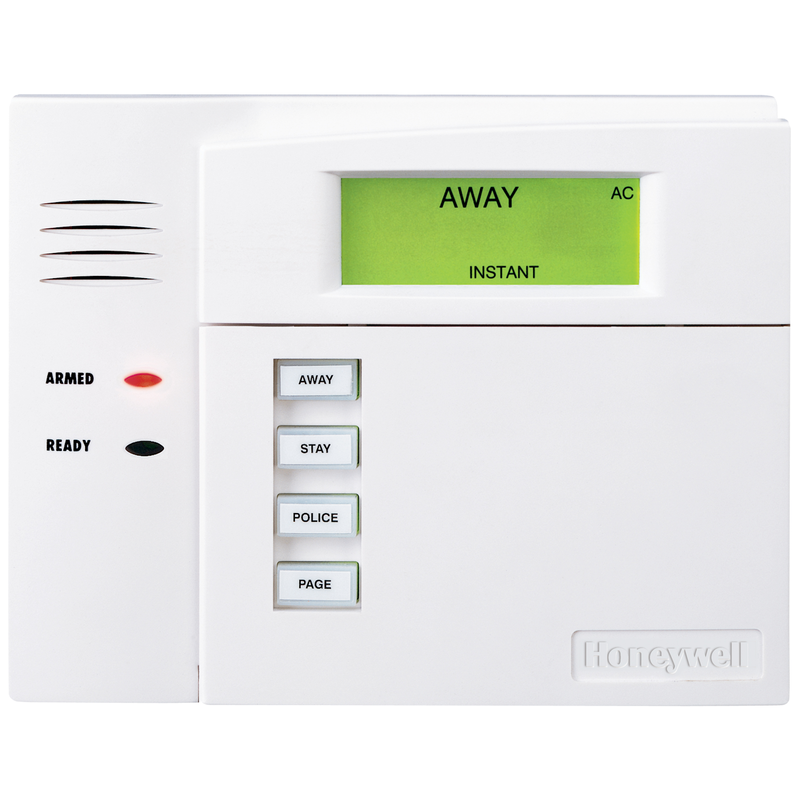 Add wireless technology to any installation with Honeywell's 6150RF fixed-english keypad with 5800 RF. It offers the unbeatable combination of attractive, convenient features and competitive value in a single, quick-install package. The integrated design solves even the trickiest installation challenges and reduces costs by letting you add full wireless capability to any compatible Vista security system, without additional wiring or sacrificing zones. End users can now add the 5828 and 5828V wireless keypads to VISTA for the first time, presenting an easy opportunity for end-users to now add a secondary wireless keypad(s) on every installation with virtually no install time.